SAOIRSE | FREEDOM was a flagship cultural event curated and produced by The Trailblazery at the historic national monument Kilmainham Gaol in Dublin, Ireland, Easter 2017. Saoirse is the Irish word for Freedom. 2016 was a year that Ireland commemorated the Easter Rising as a significant moment in our shared cultural inheritance. So, it was a great honour to present Saoirse | Freedom on Easter Monday, 101 years since that revolutionary act. Kilmainham Gaol symbolizes revolution from the rebellion of 1798 to the Irish Civil War of 1922-23. 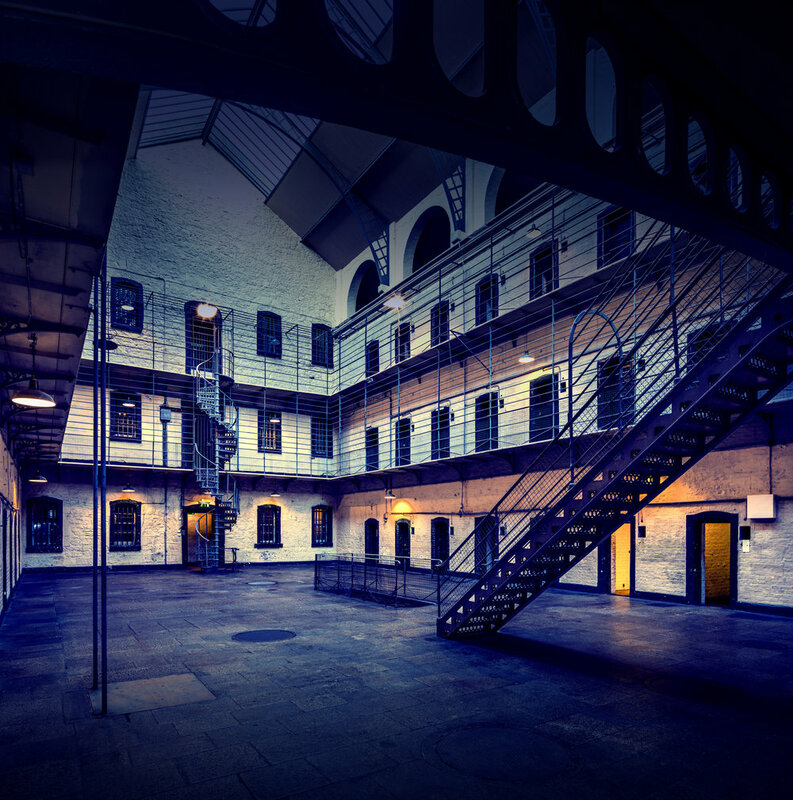 The prison held some of the most famous political and military leaders in Irish history. Fourteen leaders of the 1916 Easter Rising were executed in the Stonebreakers’ Yard at Kilmainham Gaol. We set out to explore what freedom means to us as individuals, as families, as nations and as world citizens living in extreme times? Freedom is a burning issue on the world stage as we strive to reclaim our humanity in complex times. Our collective wounds have been exposed and the core human issues of cultural identity; gender, race and religion vie for attention in the specter of populism, polarization and the rising power of a post–truth society. So we asked- what does it mean to be free? What is driving our human race? What does the future hold for us as “ancestors in training”? How can we make the invisible visible? In times like this we need stories to transport us to new realms so that we can imagine absolute freedom. Our human challenge is to fully participate in these new realms so that we can become co-creators of the future. As novelist Zora Neale Hurston has said: “There are years that ask questions and years that answer them”. Saoirse invited a host of artists, musicians, performers, activists and thinkers to decode the questions and answers at the heart of cultural (r)evolution. These trailblazers are pioneers of the human spirit who gathered together to share their stories of sovereignty, sing their songs of freedom and ultimately reveal what lies beneath our shared human-being-ness. Participants at SAOIRSE | FREEDOM included Colm O’Gorman (Amnesty International Ireland), Sunny Jacobs (Human Rights Activist), Raoul Martinez (Philosopher, Artist, Author and filmmaker- Creating Freedom), Lynne Ruane (Educational Activist and Independent Politician), Ailbhe Smyth (Feminist & Activist), Mary Kate O’Flannagan (Award Winning Writer, Grand Slam Champion storyteller of the Moth), Razan Ibraheen (Syrian Journalist, Irish Tatler International Woman of the Year), Tavengwa Tavengwa with live peformance from Radie Peat (Musician Performer), Eric Mingus (Musician Performer) and Tonnta Music Ensemble. Executive Director of Amnesty International Ireland speaks at Saoirse | Freedom - a Trailblaze experience live at Kilmainham Gaol on Easter Monday 2017 "If we fight for something, we fight for the thing we love". Raoul Martinez author + filmmaker of Creating Freedom speaks at Saoirse | Freedom - a Trailblaze experience live at Kilmainham Gaol on Easter Monday 2017 "If we fight for something, we fight for the thing we love. Teacher, Facilitator, Gaeilgeoir, Speaks at Saoirse | Freedom - a Trailblaze experience live at Kilmainham Gaol on Easter Monday 2017 "If we fight for something, we fight for the thing we love. When we fight against something, we fight against the thing we hate" Simon Sinek What does freedom mean for us as individuals, as nations and as world citizens living in extreme times?